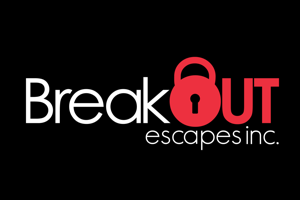 If ever you find yourself in the Santa Clarita/Newhall area and need to find something to do to kill time, well… it may be worth getting Stuck In Time at Cryptic Escape Rooms. Located in a nondescript strip plaza (very easy to miss), near a pizza place and pool hall, Cryptic Escape Rooms has more than enough free parking and you can grab a bite to eat after. 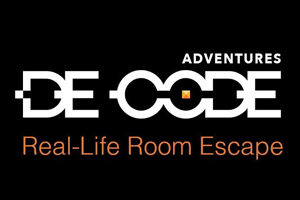 Like a lot of escape rooms, reservations must be made in advance. The waiting and check-in area is bare bones but offers a few wooden benches for your party to sit on while waiting for your room to get set up. It was very hot since they didn’t have enough time to cool the place down with their AC, but we were also offered free water bottles, chocolates, and candies from the candy bowl and use of the lockers (near the restroom). In Stuck In Time, the premise is you are a group of time travelers from the distant future and your device starts to malfunction unexpectedly and you end up in the Middle Ages. You must find a way to slowly get back to the present in 60 minutes or forever be stuck in time. According to their website, you can have up to eight people maximum, but I highly discourage that since there were six people in our group and we felt cramped and claustrophobic throughout the whole experience. You first start off in a room set in the Middle Ages, where the props and decor matched the time period and it flowed relatively well. The walls were peeling, and a previous group had moved items that essentially gave away the answer to a puzzle. There were a few red herrings to throw you off but it wasn’t overwhelming. After completing that room, you move on to the second room. It was unanimous within our group that the second room was the most disjointed, disorganized and dangerous of the rooms. There was an unsafe shelf with props on it that a few people hit their head or shoulder on, and a glass atop the shelf that was not secure and could have fallen and cut someone. The puzzles within this second room were random and did not pertain to the room theme at all. One of the lockboxes in the second room also wasn’t secured or reset which seemed a bit sloppy in our opinion. The third room was the most interactive and fun of the three rooms and we thoroughly enjoyed the puzzles and immersion involved. The third and first rooms were definitely the stronger of the three rooms and there were a variety of puzzles and locks. As with The Lake House room there are a lot of “Do not touch” stickers which seemed a bit excessive. We understand they want to preserve the integrity of the items but it did take away from the immersion aspect of the room. Another thing that also took away from the immersion aspect was how the three rooms connected; there was nothing to signify a “time travel/warp” between the rooms. Perhaps if there was a black room separating each room, to show that we were stepping from one period to another? It just seemed too plain in our opinion. The ending of the room also seemed a bit random and rushed as well which relied too heavily on clues to escape. The customer service after the room was great and we were greeted with a variety of “We escaped/We failed” signs to choose from for our group photo, along with a leaderboard showing top teams and times. 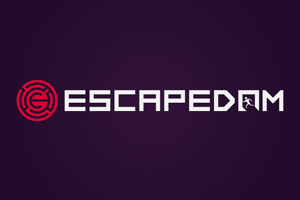 Cryptic Escape Rooms definitely is on the right track but I recommend that they pay attention to more details and maintain the rooms for wear and tear on a regular basis to ensure a safe and great time for new and repeat customers alike.